Meyer Lemons are probably my favorite ingredient. Luckily, Amy and Doug have a tree that grows more lemons than they can eat. So when Doug came for dinner recently, I unabashedly asked for some of his bounty. He wasn't messing around when he brought 100 lemons. Yipee! Amy, Doug, Paul and I kicked off the holidays with afternoon of cooking with lemons (and drinking tequila). We made Meyer Lemon Marmalade and gave Patricia Wells' "Lemon Lovers Tart" recipe a try. As we quickly devoured the entire freshly-made tart and licked our fingers clean, we declared the tart yet another winner from Patricia Wells At Home in Provence. I am sure this recipe would be delicious with any good organic lemons, but I cannot imagine a better celebration of my favorite Meyers. We are going to make this tart again to serve for dessert after our traditional Christmas Eve crab fest. I can't wait. Grease a nine inch fluted tart pan with removable bottom. Stir butter, vanilla and almond extracts, lemon zest, sugar, and salt in a medium bowl. Slowly add flour to mixture until you have a nice soft dough (the texture should resemble a soft cookie dough). Place dough in greased tart pan and use your fingertips to slowly press the dough around until it covers the bottom and sides of pan. Bake crust in oven until golden brown - about 12 to 15 minutes. Let cool. Do not remove from pan. Get out your double boiler (or nestle a sauce pan above another pan with simmering water). The upper pan should not be touching the simmering water, but should hover over it. Combine eggs, yokes and sugar in upper pan. Whisk until the curd has thickened and is a pale lemon color, 8-10 minutes. Add 1 tablespoon of softened butter to curd. Keep whisking until melted. Then add another tablespoon of butter, following this pattern until each tablespoon of butter is melted and incorporated. Add zest and lemon juice. Keep whisking until the filling is thick and custard-like and the first bubbles are appearing on the surface. Do not boil. Immediately pour custard filling into cooled tart shell. Smooth with a spatula. Let custard set for 30 minutes. We topped each slice with plenty of whipped cream. YUM! Oh my goodness! And the crust was to die for! We had a "licking" day and licked the plates clean it was so good. I just got note that one you you had a bad experience with the tart - that there was too much lemon juice. This Patricia Wells recipe is one of my favorites and I am especially fond of the reliability of her recipes. But things can always go wrong and I am sorry to hear that happened to one of you. So frustrating! This is so nice and yummy. One of my favorite recipes. 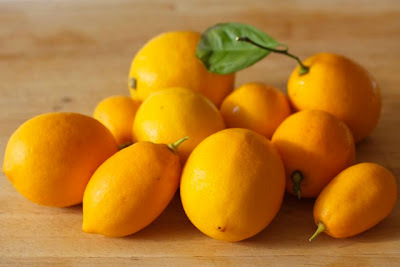 For me the flavor of lemon, especially in desserts and salads, is simply glorious. I agree with 'anonymous' that the crust is 'to die for'. I reduce the amount of lemon juice to 2/3 cup and it turned out just fine for us. So good to hear from you... I appreciate each and every note you leave for me! All text and images copyright © Erin D. Scott 2018. All rights reserved. Please ask before using an image. Thanks.